“Brandon Adams was extended an offer to fight Gennady Golovkin in the former middleweight champion’s debut on DAZN. Adams, who won the most recent iteration of The Contender, is among a handful of names being considered for the June assignment against GGG,” reads Coppinger’s tweet. Another name put forth as a possibility is that of Kamil Szeremeta, but as Coppinger tweeted, there are a handful of names. If it turns out to be either Szeremeta or Adams, fans may be somewhat disappointed. Neither guy is a big name but it seems GGG will be fed a relatively “safe” or “easy” opponent in the first of what fans hope will be six big fights on DAZN (bar the initial one at least). 29 year old Adams of Los Angeles has a good record at 21-2(13) and he has been stopped just once. Wins over Shane Mosley Jr, in Adams’ last fight back in November, Ievgen Khytrov and Tyrone Brunson are pretty decent but a decision loss to GGG KO victim Willie Monroe Jr and a stoppage loss to John Thompson could well suggest Adams would be no real match for Triple-G. 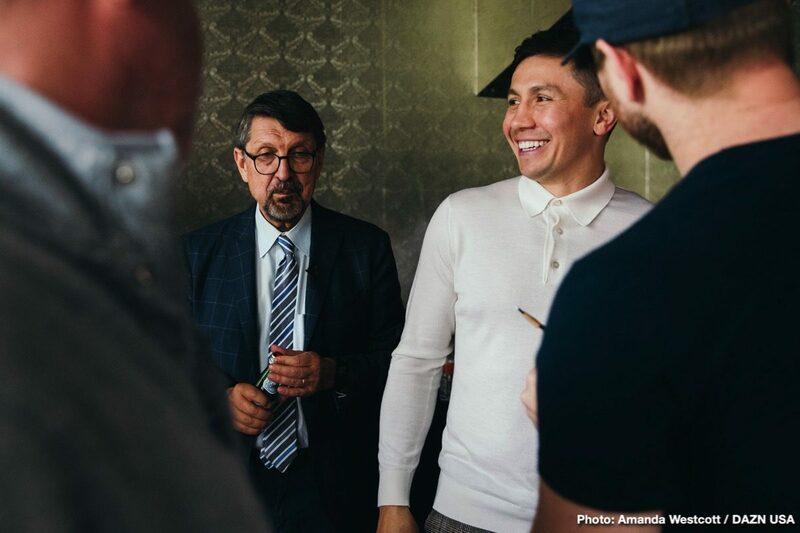 It was thought something official would indeed have been announced by now as far as who GGG – who is closing in on enduring the longest layoff of his pro career – will be fighting next; yet here we are, a couple of weeks on from his signing with DAZN being announced, and still nothing. Of course, this will all be forgotten if GGG gets that big, big third fight with Canelo Alvarez later this year. Golovkin seems to have been out of action for far too long already and whoever he fights upon his return, it will be good to see him back doing what he does best.